It has been reported thatEurycoma longifolia Jack commonly known as Tongkat Ali has gained notoreity as a symbol of man’s ego and strength by the Malaysian men because it increases male virility and sexual prowess during sexual activities. As such, the effects of 200, 400 and 800 mg/kg of butanol, methanol, water and chloroform fractions ofE. 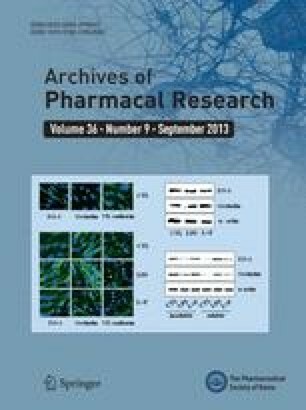 longifolia Jack were studied on the laevator ani muscle in both uncastrated and testosteronestimulated castrated intact male rats after dosing them for 12 consecutive weeks. Results showed that 800 mg/kg of butanol, methanol, water and chloroform fractions ofE. longifolia Jack significantly increased (p<0.05) the leavator ani muscle to 58.56 ±1.22, 58.23 ±0.31, 60.21 ±0.86 and 62.35 ± 0.98 mg/100g body weight, respectively, when compared with the control (untreated) in the uncastrated intact male rats and 49.23 ± 0.82, 52.23 ±0.36, 50.21 ±0.66 and 52.35 ±0.58 mg/100g body weight, respectively, when compared to control (untreated) in the testosterone-stimulated castrated intact male rats. Hence, the proandrogenic effect as shown by this study further supported the traditional use of this plant as an aphrodisiac.